Who Has Done More To Earn A World Heavyweight Title Shot - Dillian Whyte or Jarrell Miller? Who Has Done More To Earn A World Heavyweight Title Shot – Dillian Whyte or Jarrell Miller? Both hungry for a world title shot, both highly ranked and both very proficient in the art of trash-talking, heavyweight contenders Dillian Whyte and Jarrell Miller are jostling for a shot at reigning WBA/IBF/WBO heavyweight ruler Anthony Joshua. Both the once-beaten (by AJ) Londoner and the undefeated New Yorker are with the same promoter in Eddie Hearn, and Hearn has vowed to deliver a shot to both men. But who actually deserves one more: “Big Baby” or “The Bodysnatcher?” Or, is a better question this one: does either man have the right to claim, with a straight face, how he has earned a shot at ultimate glory? Looking at Whyte, yes he has, and of the two, Whyte has worked far harder to earn a shot than has Miller. In fact it’s quite laughable really how Miller, in speaking with Sky Sports, has come out and claimed that Whyte has not yet earned a world title chance. This, keep in mind, is coming from a man who will next face the old, much smaller and long since irrelevant Tomasz Adamek; a career light-heavyweight/cruiserweight who has had a few misadventures up at heavyweight. Miller – for many fans a far better and more accomplished talker than elite level fighter – is talking big ahead of the October 6 bout, but all real fans know the upcoming mismatch is just that – a gross mismatch. By comparison, the “undeserving” Whyte is coming off two good wins that one could argue are better than anything Miller has yet managed. Whyte flattened Lucas Browne earlier this year and last time out he decked Joseph Parker (becoming the first man to do so) on the way to a tough decision win. Miller’s best victory overall is probably either his corner retirement win over Gerald Washington or his points win over Johan Duhaupas; or maybe you would point to his stoppage win over the huge but slow Mariusz Wach. Tell us again, Jarrell, who isn’t worthy of a shot at the heavyweight crown and the million dollar payday (or more) that would go with it? Miller will beat Adamek, more than likely by KO, maybe even a quick one (if he fails to halt the tough but faded Polish warrior, the chatter that suggests Miller is not the big puncher he was once thought to be will grow far louder) but this will not move the Brooklyn man any nearer to a world title chance – at least it shouldn’t. Whyte is currently far more deserving of that rematch shot at Joshua and Miller must in reality, in his heart of hearts, know he has much more to do to help his cause. In an ideal world, Whyte and Miller would square off in a big, probably pay-per-view, final eliminator, and the winner would then get a shot at AJ. But as things stand right now, with wins over Parker, Browne and Dereck Chisora to his name, Whyte, aged 30 the same as Miller, is streets ahead in terms of which of them has earned a shot at what was once referred to as The Biggest Prize In Sports. Which of these two fighters would YOU pay hard earned cash to see challenge Joshua early next year? 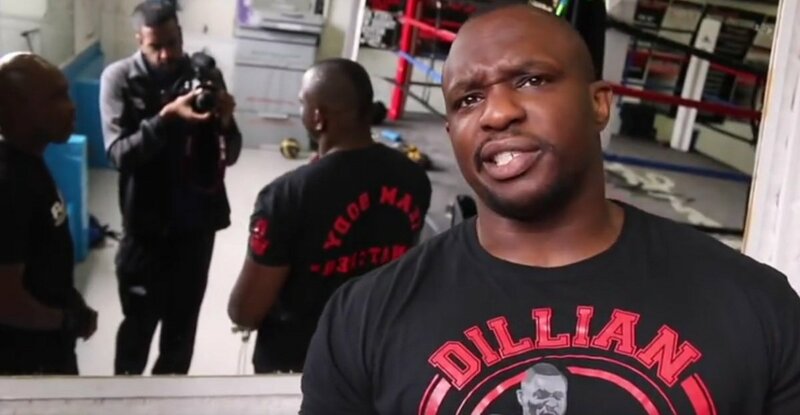 You are here: Home / Boxing News / Who Has Done More To Earn A World Heavyweight Title Shot – Dillian Whyte or Jarrell Miller?